Hello! 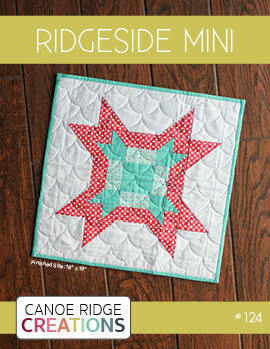 Today I'm excited to share October's Fresh Mini Quilt Club pattern, Sea Breeze. 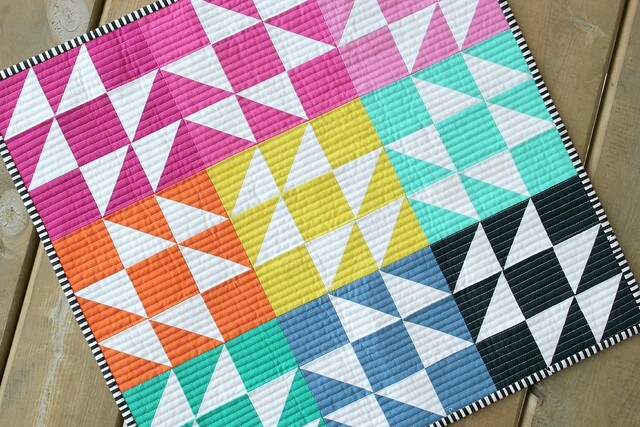 October's mini quilt features a nine block design & half square triangles -- something about the design just screams sea breeze! 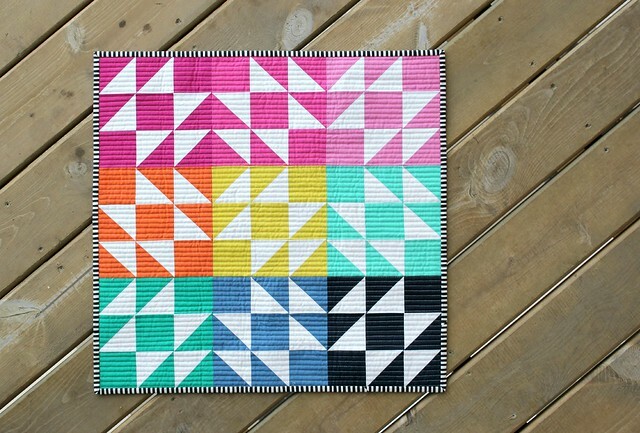 I'd really like to make another mini quilt using sea foam greens and fresh blues. What do you think? 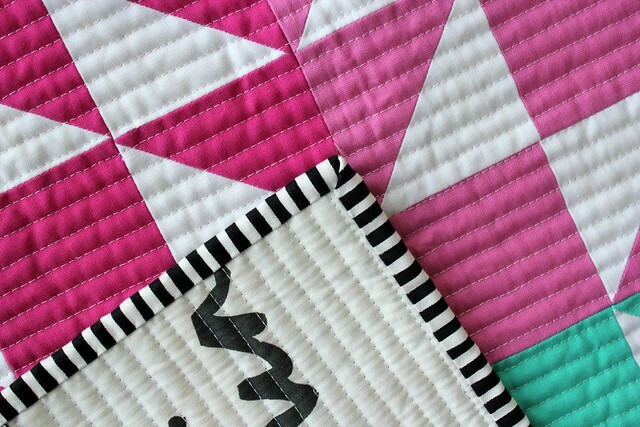 I straight line quilted this mini quilt using my BERNINA walking foot & Aurifil thread (50 wt., color 2024). 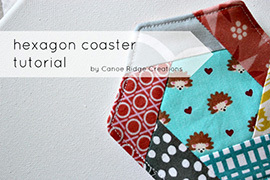 The lines are 3/4" apart, making for some great quilted texture! 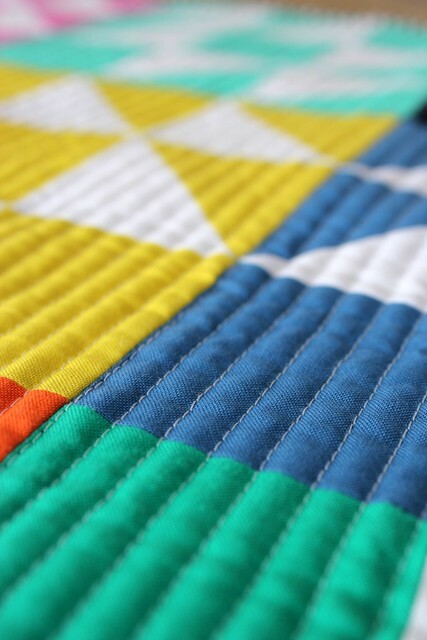 Straight-line quilting really is my favorite! 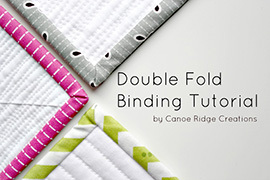 Check out my straight-line quilting blog post for more tips & information. 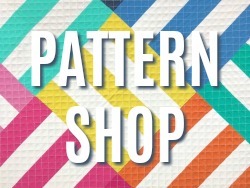 The back fabric is this print from Ikea -- which reminds me, I need to pick some more of that fabric up! I used a small black and white strip for the binding from my stash. It's quickly became a binding favorite! 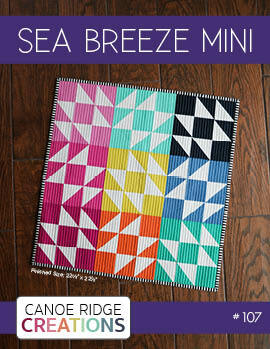 The finished Sea Breeze mini quilt measures 22 1/2" x 22 1/2". 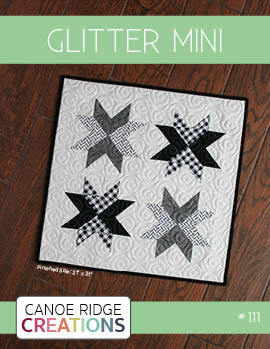 If you'd like to join Round 2 of the Fresh Mini Quilt Club, there's still time! Register right here or read more about the club right here! 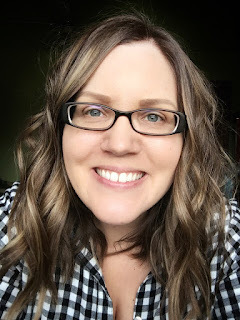 Thank you, Megan! 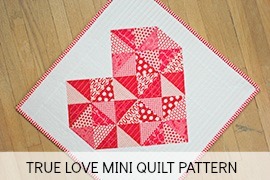 I really like how you've quilted this mini. 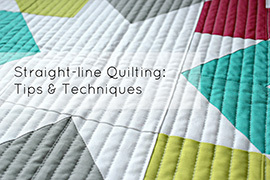 I haven't done a lot of machine quilting so I appreciate seeing how you would do it. I'm going to give it a try! 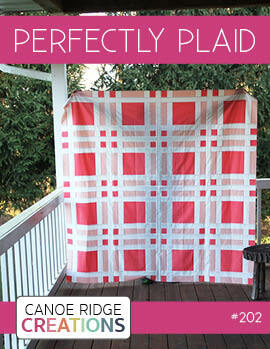 Can't wait to see November's quilt! Anything about it. But I would like to know thanks!